The Elder Law Center of Wisconsin, LLC we are problem solvers. We help eliminate fear and keep stressful situations simple for our clients. We are passionate about helping people who are concerned about losing their lifetime of assets to the... government, a nursing home, creditors, or lawsuits. We also help families find ways to keep loved ones home as they age by utilizing Medicaid, veterans or other government benefits. Our clients thank us for showing them options they didn’t even know existed! Our favorite part is being able to serve many clients’ families and friends because of their satisfaction with what we have done to help them. We worked with Ryan's office to protect my parent's estate. Ryan handled everything from comprehensive Power of Attorneys to trusts and wills. He provided valuable advice every step of the way. Saved my parents a ton of money. Wonderful experience with every facet of my mother's estate planning, which can be a difficult subject. The Elder Law Center of Wisconsin makes the process a seamless and exceptionally professional and empowering experience for seniors. 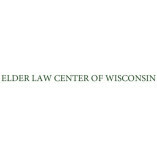 Thank you to Mr. Zenk, Tara, and the rest of the Elder Law Center of Wisconsin staff. I highly recommend them.